Instagram becomes one of the most popular photo and video sharing apps in the world. Every day you visit Instagram, you can always find something new. As the saying goes, “Every coin has two sides”, some annoying cases could happen when you share photos like someone’s disgusting photos keep overwhelming your Instagram. Under this circumstance, it is a good idea to block them. How to block people on Instagram? What happens when you block someone on Instagram? 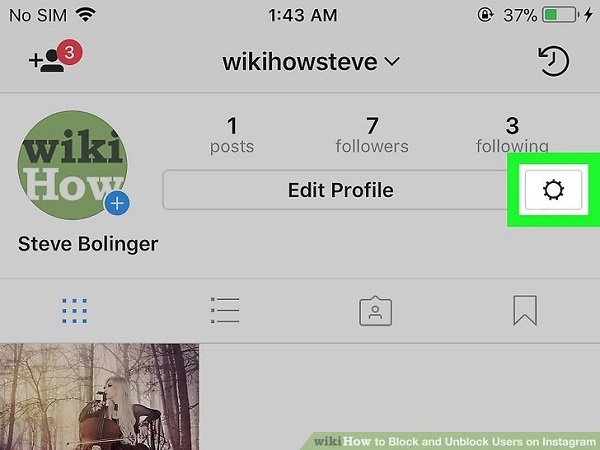 How to unblock someone from Instagram? Let’s read through the article to find out the answer. 1. Open Instagram on your iPhone. 2. Click on people icon which is Profile icon to enter the profile interface. 3. Tap on “Followers” or “Following”. 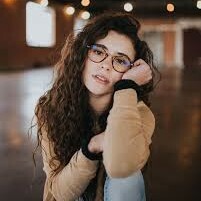 Find the person you want to block and tap on his or her name. 4. Tap the three-dot icon at top right corner and choose “Block User”. A prompt jumps out to ask you if you are sure. Confirm it by choosing “Yes, I’m sure” to continue. 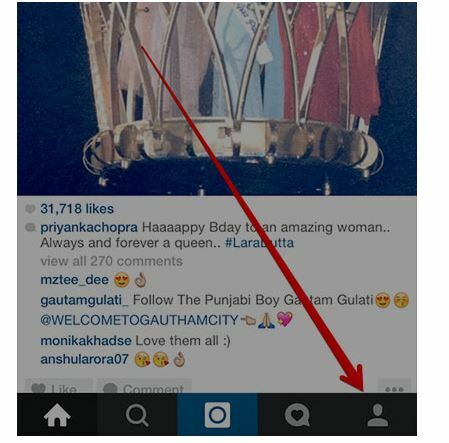 Basically, this is how to block people on Instagram. What happens when you block someone on Instagram? After blocking someone on Instagram, first thing you should know is that blocking someone on Instagram doesn’t mean their likes or comments will disappear from your former videos or photos. If your account is public, blocked people can still your comments and likes on others’ photos. If you are looking for privacy, you can set your account private. 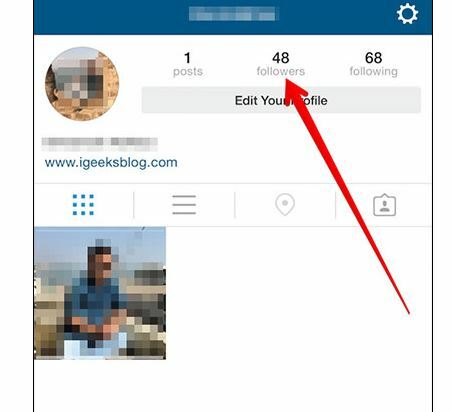 In this way, the blocked users can’t see your photos or comment on your photos. How about when someone blocks you on Instagram? It works same, I guess you’ve already have answer in mind. What happens when you block someone on Instagram? You must find answer, right? What if I want to unblock someone on Instagram? How do I unblock someone on Instagram? 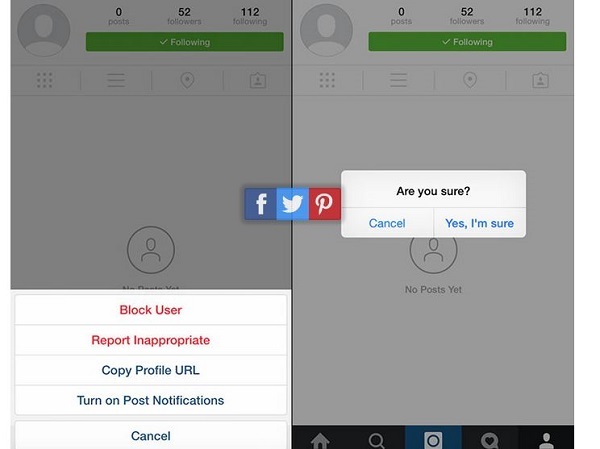 If you can block someone on Instagram, surely you can also unblock them on Instagram. 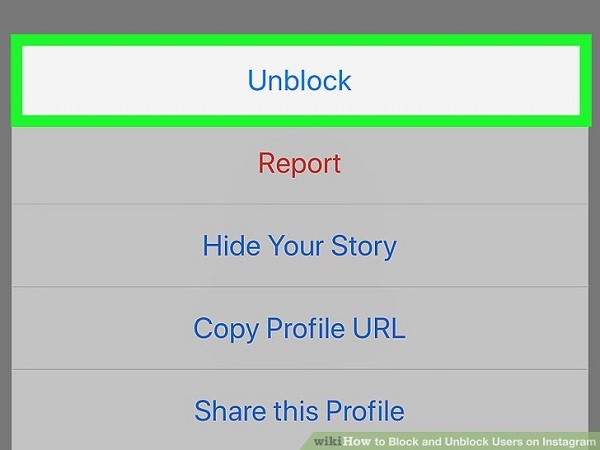 How to unblock someone in Instagram? Here are steps. 1. Open Instagram app on your iPhone. 2. Tap on Profile tab which is the last icon at the bottom. On Profile interface, choose the gear icon. 3. Scroll down and choose “Blocked Users” and find the person you want to unblock. Choose the name and enter into his or her Instagram. 4. Click on three dots at top right corner and choose “Unblock”. A confirmation window pops out where you can choose “Unblock”. 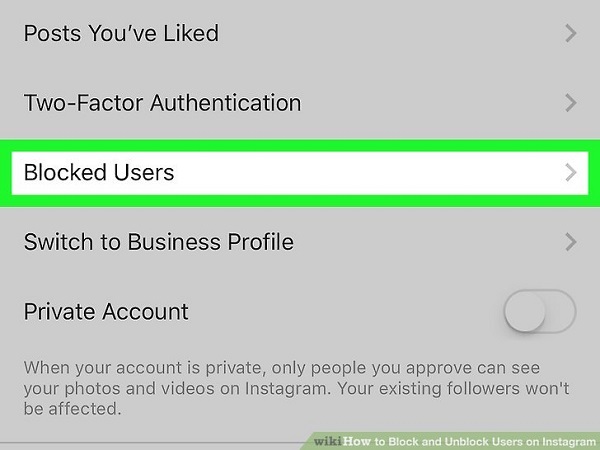 Okay, you get how to unblock on Instagram. Instagram carries many good memories for us. To avoid Instagram app data losing, we need to take actions to backup them. Is there any good file backup tool for our choice? Certainly. Leawo iTransfer is top-rated file backup software. It is acted as one of best file management tools that can be used to transfer different kinds of files including contacts, music, TV shows, movies, SMS, etc. between different Apple devices, iTunes and PCs. It has very simple interface, so no matter for green hand or IT expertise, they can easily know how to operate it. 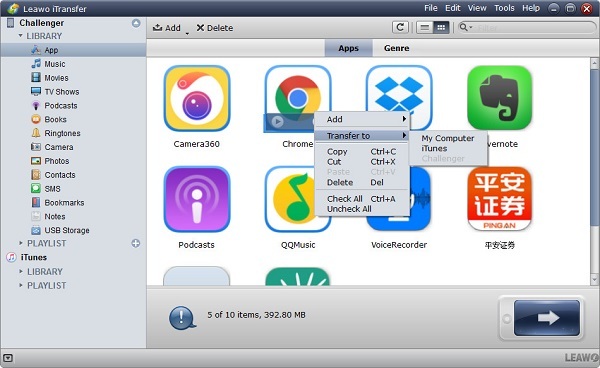 In the aspect of managing files, it is helpful to manage files on iOS device data like directly deleting duplicate songs or creating playlists. The transferring is not limited to purchased or non-purchased contents. In other words, you can easily transfer purchased and non-purchased items from a device to another device. As for how to backup Instagram app data to computer, the detailed instructions are shown as below. 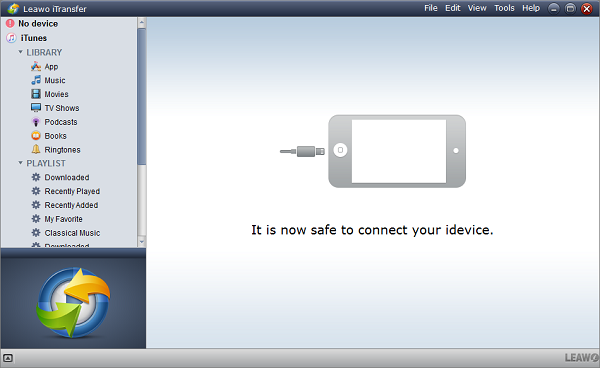 Launch Leawo iTransfer and connect iPhone to computer. The software can automatically detect iPhone. 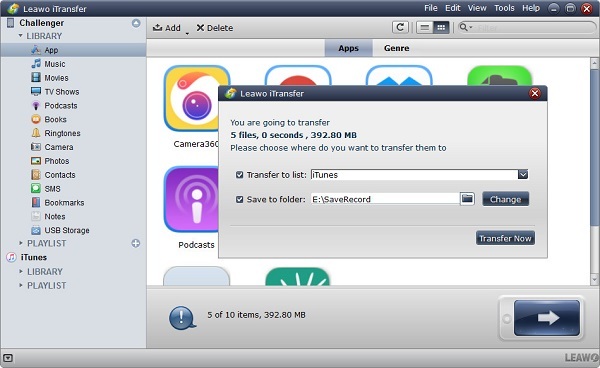 In the left sidebar, it is different categories of contents; in the right interface, it is iPhone information like capacity, name, serial number and so forth. In the left sidebar, click on “iPhone > LIBRARY > App” and you can see the app list on your iPhone. Select Instagram app to transfer and right click them to choose “Transfer to > My Computer”. Or you could simply click on the big transferring button in the downside right corner. Check “Save to folder” and click on “Change” to choose a destination folder on computer in the pop-up dialogue and then tap on “Transfer Now” to transfer Instagram app including Instagram data to the computer. In a couple of seconds, you will get Instagram app data on your computer. 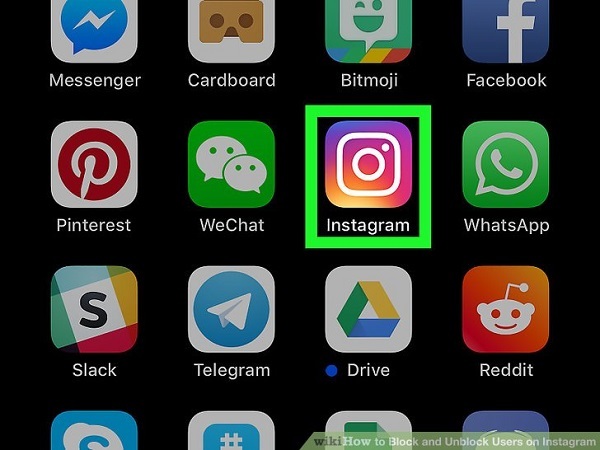 If you only want instagram videos, then you don’t need to transfer instagram to cpmputer but download instagram videos to iPhone.